Are you looking for a meaningful way to help address educational equity disparities in SE Seattle? Do you want to learn how to understand and use data, learn about policy analysis, develop leadership skills or be a more effective advocate? 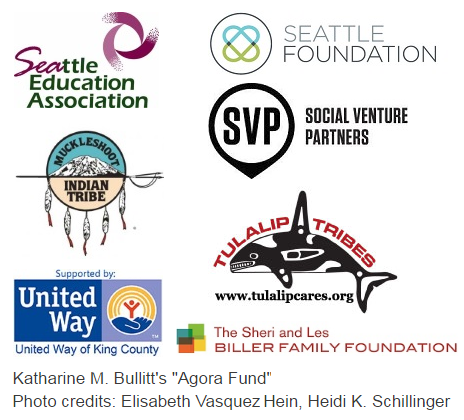 Do you want to help narrow the opportunity and achievement gaps for SE Seattle students? Southeast Seattle Education Coalition (SESEC) is seeking volunteers for special committees to develop stronger policy and advocacy skills in the SE Seattle community. Committee members learn how to use data in advocacy and policy work, develop and understand policies through a racial equity lens, ways to effectively advocate, how to write letters to the editor and op-ed pieces, and how to do effective presentations at boards, committees, and commissions. At the conclusion of each committee, members will have a deeper connection to policy work, stronger leadership skills and a better understanding of policy issues. Approximately four meetings a month, for two months. Cohort #2 from October 2016-November 2016; additional dates TBD. Visit our website at org and sign-up for our mailing list.